It’s the peak of the cocktail party season and time to pull out all the stops to create a fantastic get-together that will be the the highlight of the year which will last until New Year. Cocktail parties used to last only a couple of hours either side of sunset but these days they are often an all-night affair while some even carry on until the sun rises! Ideally, that’s just the way it should happen. But on the down side this means you have to prepare a little better and add a bit more food and drink .The guests don’t lack for anything as they start celebrating the end of the year. Mr Fingerfood have put together a their top cocktail party entertaining tips. First of all, make a list of all the things that need to be considered: How many guests? What’s your budget? Do you have enough seating, tables, cutlery and glasses for everyone? Send out invites in good time – you’re not the only one throwing a party this time of year. The Care2 network has beautiful e-cards, and be sure to follow up with a quick phone call. Venue: It’s always best to host your party at your own home, as you are familiar with your surroundings. It also saves you money. That said, a stylish marquee tent can be adorned with sheer linens and fairy lights that twinkle against the evening sky, instantly extending your entertaining area. If you’re hiring a venue, ensure it’s clean, has parking, kitchen facilities, there’s space for a music system, tables for food and a bar area. Ensure a good selection of bite-sized treats, such as cold finger foods, delicious dips and good extra virgin olive oil with crusty fresh bread, miniature warm pizzas, laden with fresh gourmet toppings and a few sweet delicacies. Click here for 10 gourmet-inspired finger foods. Arrange platters around the space of your home where you andyour guests will be moving about and keep an eye out for when you need to top up. Napkins are essential, and should be ready available to guests. There should be a variety of soft drinks, waters, wines and champagne. Or you could mix up large pitchers of fruity cocktails rimmed with flavoured salts. And don’t forget, one can never have enough ice. Good lighting sets the mood; use huge candles, dim lighting or beautiful pieces of art lamp work (feather lights) to soften and compliment the surroundings. Hook up your I-Pod to the house music system and play a mix of your favourite tunes. Or keep a stack of easy listening CDs close at hand, like the complete collection of Café del Mar and the global sounds of Putumayo. Don’t forget to tell the neighbours you’re having a party! Or, if all else fails, invite them along. Check out Mr Fingerfood website and book your catering for your cocktail party food. Christmas full of vibrant colours. Festive stockings, glowing strings of lights and perfectly wrapped gifts which take center stage. The colours you choose for Christmas decorations can impact the atmosphere. Consider your goals whether it be: icy and intense, modern and fresh, cozy and traditional, elegant and luxurious before deciding on a colour scheme. Remember that red and green are the classic colours of Christmas but your decorating doesn’t have to stop there. The cool blue looks icy and cold, like the light of winter after a heavy snow has settled. Bright red and green: these are synonymous with Christmas, they’re the traditional colours most often associated with the Christmas season. In practice, red and green go together in almost any setting in your home; from the mantel piece to the table centerpiece that highlights Christmas china. Dreaming of a white Christmas: A white Christmas can be glamorous and fresh. That’s the beauty of decorating with such a versatile colour. With contemporary interiors, an all-white Christmas is en vogue: current, up-to-date, modern. Now that you have your decorations picked out, it’s time to plan your party. On the next page, get your food sorted and book your Christmas party food with All Suburbs Catering. To get this menu for your guests ring Barbara FREE CALL 1800 230 380. Book your Christmas party food with All Suburbs Catering. Remember we don’t need your final numbers until 5 days before. Initiall, think about what is achievable with the time scale and the resources you have. Will it be informal or formal? Inside or outside? Large or small? A seated dinner or a reception? What do you need to achieve from the event? The budget needs to be very precise so that you know what you can and can’t have. In some Christmas parties there is a few revenue opportunities (ticket sales, sponsorship and donations, etc.). For all everyone will be expenses from the delivious catering to the entertainment and staffin. If you keep good records and plan ahead you will be guaranteed to be halfway there – always be ready for the unexpected! Who would you like to invite, not just who you want to invite! If its a corporate event make sure you remember all the relevant departments and don’t miss anyone out! Think carefully about where you want the party to be since it will need to be easily accessible. Look if there is any nearby public transport or parking facilities since this makes a difference to your guests. Will there be enough space for your guests and are there any noise restrictions? Will disabled access be required? Do you need a stage/dance floor or special equipment and if so is there enough room? Also, think about the accommodation where will your guests stay? Having a great selection of food and drink at your event is crucial. Think carefully about what style of food you want to serve; will it be buffet, bowl food, sit down, food stalls or canapés? What beverages will be available too – if you’re having a reception will you be having cocktails and canapés or some fizz, wine and soft drinks? How do you want things served, and who do you want to serve them? Who clears up afterwards?! If you’re considerign having a caterer then checkout My Caterer to receive 3 competitive Christmas catering quotes so that you can choose whats best for you. Themes won’t be everyone’s cup of tea but for most they can be really good fun! Remember to think outside the box– we’ve catered for all sorts over the years from Winter Wonderland to a recent 1920’s themed Murder Mystery and even a outrageous Electric Eighties party. Full room décor really compliment a theme and bring a party to life! Great entertainment is paramount in an event. A lot of entertainers and bands have footage nowadays so you can check them out to see if you like them first. You could even have a comedian come in to lighten up the mood! Make sure you have an itinerary without one you’re destined for failure. You will need a detailed itinerary and all the necessary contacts numbers at your finger tips. The invitation is your guests first impression of what the party will be like. Make sure you include the dress code, the date, what time the party starts and finishes and if there wil be any food and drink available, the address, who to RSVP to and if you are having a cash bar make note of it on the invite as not everyone will think about bringing their money. Your theme can be reflected on your invitations. Make the wedding party a memorable event for your friends and families by selecting a good catering for weddings in Brisbane. Food and drink plays a pivotal role in making a successful reception party, as good food and beverages stay in the minds of guests for long. The moment you fix the venue of the wedding, you must start looking for wedding caterers in Brisbane to find one that can serve best food, wine and beverages fitting your budget. There are a number of caterers for wedding in Brisbane and selecting one that best suits your style, taste and budget is not quite an easy job. You can start with a few references about good caterers in Brisbane from your family and friends and even search online. You can shortlist a few of them according to your needs and requirements. It is always advisable to meet a few caterers personally before taking the final decision. Tell them about your requirements and expectations, and also give them the detailed menu including the dessert that you wish to serve in your wedding buffet. Sample taste a few dishes to get the idea of the type food they intend to serve for the wedding. Also inquire about other things, such as if they prepare food from frozen or fresh products, where will they cook the food and how many waiters will they provide for the services. Based on these you can select a caterer that suits best to you. Catering company may also give you certain suggestions to make your wedding party memorable. It is aware of the latest trends in catering and can help you decide the menu, courses and the beverages that will go well the menu you select. With their help you can give a theme to the party you are organizing, but do not forget to get a detailed price quote for every item planned for the party. At times, they also rent out a few equipments that you may require during the party and if you have a choice, you can hire these items from the catering company itself, as it costs you much less in comparison to what you need to pay to some other company specifically for these items. Look no further since All Suburbs catering cover the area of Brisbane and offer fantastic catering service. They offer all sorts from seafood to a delicious roast which makes them the most reliable Wedding Caterers when it come to parties! Just check out their testimonials! Does your event require a permit from your local council or shopping centre for example Bunnings require a non profit organisation/charity to apply in writing to hold a stall out the front of their stores. insurance. Regularly you will need to supply this with your application. members know the dates. You may want to allocate a advertising sub-committee. or do they need to be stored somewhere for future events. Arrange all your goods and equipment required. Do you need to record your sales? Arrangement of catering – contact Carol on 1800 251 440 so that she can help you get your catering sorted for your charity event. Any experienced event planner or caterer will tell you that the key to a successful party is planning. Simply making a few dishes and sending invitations is normally not enough. A little advanced planning saves you stress and time so spend five or ten minutes deciding on what type of atmoshphere you want to create. Just invision walking yourself through the party as a guest. This ensures that when the party time comes, both you and your guests will have a fantastic night to remember! The holiday season is always packed with parties; so be wise and send invitations three weeks in advance. Remember that the sooner you send out your invitations, the less likely it is that your guests will have other plans for that date. Invitations should indicate the starting and ending time of your party and should outline the food you will be serving. Whether it be a light holiday fare or a traditional sit-down dinner and of course don’t forget to include directions to the venue. Make sure that you choose a menu for which many of the items can be made ahead of time. The great thing with sorting out the catering is that its one less worry for you. All Suburbs Catering offer delicious party platters for your party so that the food is ready an prepared. cold for your enjoyment anytime! tomato, served with a avocado dip. Remember that foods that can be eaten without a fork and knife keep spills and dribbles down, and they reduce the amount of dishwashing you have to do later. But if you do serve dishes that require dinnerware, make sure you have table seating for guests to sit down and eat. Make it easy on yourself. If you dread cleanup, opt for nice plasticware that can be tossed in the trash. If you don’t have time to deep clean your home the day of the party, hit the heavy traffic areas such as your living room, dining room, and bathrooms, and leave the rest for later. Set the mood with holiday music playing in the background and lit candles sparkling throughout the house. Personalize the night with a special activity. Invite your guests to write a holiday wish in a guest book displayed on your coffee table or ask them to join you for some caroling. Little details such as these help make your party an event to remember. Guests love party favors. Send yours home with a little something extra: a small ornament, a bag of cookies, even a candy cane with a bow is a sweet way to say happy holidays. An invitation is your guest’s first impression of what your party will be and what the experience will be like. This can be used to build up the excitement, don’t settle for a phone call or purchased invitation. Instead you can use your party’s theme to inspire your own quirky creations. You can add a nice personal touch, use a photo from last year’s party as the front of your invitation, or send one with your family dressed in holiday garb or outfits that complement your party’s theme. You might also have your child draw a picture of the nativity scene, your party, or a present. Scan the photo onto a computer and print onto cardstock. Get guests into party mode by compiling a custom CD of holiday music or other music that goes with your party theme. If you have no time to make your invitations, you can buy them and write a handwritten invitation with black ink. This is an elegant and personal way to notify guests of your party. What to do for NYE? There’s that question again – ‘how are you celebrating this new year?’ Will you be spending it with friends and family for a close intimate party or will you be welcoming 2011 with a big party? For those of you who are undecided, here are a few ideas and tips on how to party your way into 2011. The countdown to midnight will kick off from 5pm with pre-show entertainment around Sydney harbour. There will be an Indigenous Smoking Ceremony featuring five indigenous vessels to cleanse the harbour of evil spirits followed by an Acknowledgement to Country show. The Harbour of Light Parade will sail a 15km circuit around the harbour which will feature over 50 illuminated vessels decorated with lights to represent this year’s New Year’s Eve theme – Awaken the Spirit. The traditional family fireworks at 9pm will give a prelude to the midnight fireworks with an eight minute choreographed performance firing from four spots on the harbour, the rooftops of some skyscrapers and also some other surprise locations. 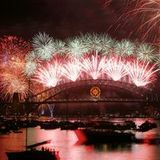 But the big spectacular which takes 15 months of planning is the 12 minute midnight fireworks display firing from seven barges on the harbour, the rooftops of skyscrapers and of course the Sydney Harbour Bridge. Party platters are always great so that you can have a party and have the catering sorted before hand. Chosen what you like? Visit Mr Fingerfood catering for New Years Eve catering and book your catering today. This way you can enjoy the comfort of your own home by having some friends over and then head to one of the hotspots to enjoy the celebrations. Book quick since AllSuburbs are booking up fast for new years eve catering! Need to hire a party bar? How about having a glow bar in your party venue to keep the drinks flowing then book with OnTapBeverage. You are currently browsing the Sydney Catering - Finger food & Spit roast News, views and reviews blog archives for November, 2010.